a Thai-style massage and a gentle after-sun massage. including body scrubs, herbal or milk baths and use of the sauna. These treatments work wonders for removing stiffness and stress all around the body. Treat your body right with soothing spa treatments and plenty of exercise in the resort’s spa and fitness areas. For true comfort and relaxation, the Phuket resort and spa offers several unique and revitalizing treatments, including herbal and deep tissue massages, a Thai-style massage and a gentle after-sun massage. Extended, cleansing spa packages are also available, including body scrubs, herbal or milk baths and use of the sauna. These treatments work wonders for removing stiffness and stress all around the body. This 180-minute deep relaxation and cleansing treatment begins with a steam bath to open the pores and maximize the oatmeal honey body scrub which follows. The spa’s signature Aqua massage comes next, bringing a range of massage techniques and oils to soothe the skin and muscles with medium to firm levels of pressure. A 60-minute Aqua facial nourishes beneath the skin, as the final milk bath leaves both body and mind feeling enriched and alive through natural rejuvenation. Experience 180 minutes of ancient Thai remedies with this one-of-a-kind spa package. 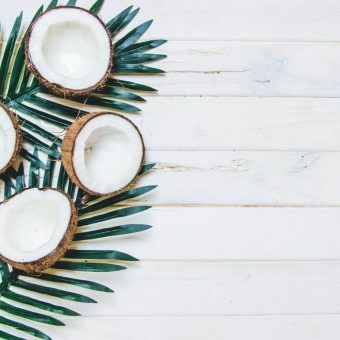 A fresh and revitalizing coconut ginger scrub marks the beginning of the treatment, followed by a 45-minute white mud wrap to nourish the skin. An herbal heat treatment and traditional Thai massage further freshens and suffuses the skin with healthy properties, and the experience concludes with a special herbal bath for one final refreshing cleanse. This selection lets guests experience 120 minutes of wholesome skin and muscle treatments, beginning with a body scrub to exfoliate dead skin cells on and below the surface. The cleaning is followed by a 45-minute body wrap to soothe, moisturize, and add a special glow to the skin. An extended milk bath leaves your body in a deep state of peace and tranquility, fully re-energized and refreshed. Among the many treatments and packages on offer at the Novotel resort in Phuket, the Junior Massage is unique in that it uses techniques designed to relieve muscle tension and stress in younger guests. Kids can benefit as much as adults from improved skin and tissue health, and this kind of massage experience can also bring comfort, relaxation, a healthier balance of stress hormones, a stronger immune system and a better night’s sleep. Children aged 6 to 12 must be accompanied by an adult. Keep in shape at the resort’s own fitness center, with weights and carefully calibrated machines to give you exactly the workout you need. Stay active in our fully-equipped fitness area, featuring weights, treadmills, step machines and more. The exercise room is beautifully situated beside our upper pool, with excellent views of the tree-lined heart of the resort and swimming area. The fitness center’s floor-to-ceiling windows provide an open atmosphere in a natural setting to inspire and motivate our guests during their workout.